Whether you’re looking to buy or sell a business or franchise, Lions Business Brokers is your low cost, effective business solutions provider. Lions will assess your business sales or business acquisition requirements and assists you to select your target market. Lions assist you to connect with national and international business markets. Submit this simple form to enable Lions Consultants to contact you. DO YOU WANT TO LIST YOUR BUSINESS Submit it now! Lions Brokers went above and beyond my expectations with regards to the sale of my hole in the wall coffee shop. Darius is always courteous, understanding and above all extremely knowledgeable when dealing with all requests and queries. I will always recommend Lions Business Brokers to any potential business who would like to sell. Thanks to Darius we sold our freehold bakery. His knowledge and experience to assist the buyer made the sale a success. He kept us continuously informed throughout the process. Without his assistance, I doubt if we would have sold the business. Selling a business is a process and for me and my rather unique business - it was a long one, but I can't praise Lions business brokers highly enough, they were always positive, supportive and lovely to work with, but most importantly skilled, knowledgeable, gave great and continuous service throughout the whole process, all the way to a successful conclusion. I recommend them highly, you'll be in good hands. The experience dealing with Lions was second to none. 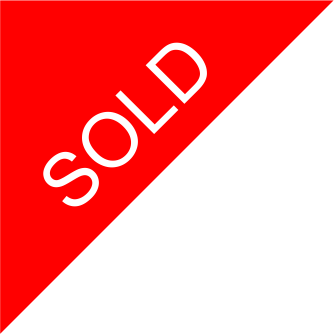 Potential buyers were introduced far quicker than expected and we had the sale locked in very quickly. What was so impressive was the after sale service, Darius ensured that the transaction went through without any hitches right up until day of settlement and when issues did arise Lions was always available to go above and beyond to find out a solution. Hard to find a better company to deal with. After initially being a little skeptical of Lions approach I was very impressed with their persistence and determination in converting an early lead into a genuine buyer. The model works. Lions helped us sell our business relatively quickly and for a price we were happy with. Their commission was well deserved. Thank you so much for your assistance in selling our business. Your endless patience with me is incredible. Whenever I was ready to give up you convinced me to keep calm and continue on. Your response time to answer any query, no matter how small, was fantastic. I sincerely recommend your services to anyone. I would like to take this opportunity to express my great appreciation for your professional and friendly assistance in the sale of my truck business.The new owner is delighted and so am I. Your persistence and diligence in the sale of my business has gone off without a hitch.Thank you once again. I can now plan my future directions in comfort. There are no other brokers that can come close to Lions Business Brokers from the point of view of passion, integrity, professionalism and diligence.The most amazing experience and not enough words to show my appreciation for a job meticulously done and a deal expertly closed. Lions Business Brokers were amazing and I will be using them again in future. I have used other brokers before, but with Lions' unique systems and enthusiasm my business was sold within 3 weeks which others did not achieve in 6 months. Lions Business Brokers were fantastic my business was sold in less than a month, they kept me informed right to the end, I would recommend them to everyone, and would use them again, their service was excellent! Thank you once again for your honesty, professionalism, and courtesy in all our dealings. We would like to thank Darius and the team at Lions Business Brokers for assisting us in the sale of our business. Their dedication and patience in finding the right buyer was appreciated. Your friendly, supportive and professional service was greatly appreciated and very reassuring in an often stressful, uncertain time of selling a business for the first time. Thank you for your assistance with selling our business. Initially I was hesitant using a professional organisation to assist me. My dealing with you has changed my view and I can't say how glad I am that we listed with you. We supplied our buyer to Lions who then aggressively and professionally negotiated the contract of the sale through to a settlement. Well done Lions! Thanks to Lion's specialised service, my business was sold within a month of listing with Lions. Thanks Lions for succeeding so quickly! Lions brokerage department made the transaction smooth and effortless. When difficulties arose, they were dealt with promptly and professionally. From the initial buyer inspection stage to the settlement of the sale, Lions was consistently communicating and reassuring whilst proceeding with all documentation efficiently. It was a difficult transaction. Lions kept us informed, soothed our impatience and at all times kept us focused on the sale process.